The class begins with simple improvisational exercises to activate the body and mind. Through task oriented improvisational prompts dancers will generate movement that will be incorporated in a new phrase by the end of the class. This process gives dancers more interesting imagery and dialogue to create work utilizing their imagination to make choices rich with dynamic and beautiful movement. An inter dimensional dance class that is conducive to their own personal fulfillment and artistic realization. To challenge the body and mind to make choices that are un-comfortable and dysfunctional . Michelle Sagarminaga is the Artistic Director and choreographer of “SagaDance Company”. She was recently selected as one of the emerging choreographers for the Mare Nostrum Elements residency at the Laguardia Performing Arts Center. 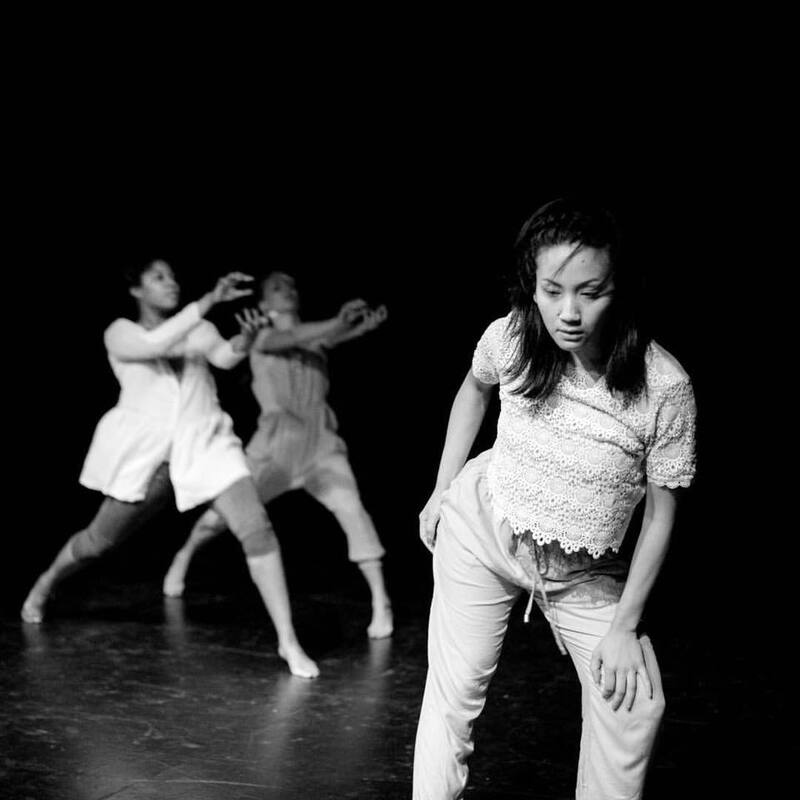 In, addition her production ‘sKIN’ premiered last fall at the Center for Performance Research fostering 17 artists in a multidisciplinary collaboration. Her career path became clear when she attended the Los Angeles County High School for the Arts (LACHSA). Her quest for knowledge and art continued when she was accepted into and awarded scholarship for dance at the California Institute of the Arts (CALARTS) Michelle received her BFA in dance in 2012, and has trained and performed works from various choreographers and companies such as Hofesh Sheather, Akram Khan, Kibbutz Contemporary Dance and Ohad Naharin. Life motivates my practice. My work, much like emotions stems from mental states or qualities that are associated with them, especially in contrast to reason. While every person experiences a unique journey through life, there is a shared a system of communication that conveys our thoughts, feelings and intentions to those around us. My work attempts to provoke an emotional response. I am interested in creative approaches that combines parameters with spontaneous choices.